Updated 3/18/2011 with instructions for correcting time-zone errors starting at Figure 7. I was interested in giving SharePoint’s Open Data Protocol (OData) Service a try, so I requested and received an upgrade to my Access Hosting test account. To simplify the initial testing of OData representation of data delivered by SharePoint Server’s Access Services, I downloaded the Northwind Traders Web Database template from Office Online to create a local NorthwindWebDatabase.accdb (NWWDB) Access 2010 database. SharePoint lists don’t support relationships, so Category is a lookup field that lets you select from a list populated by the Categories table. Similarly the Supplier lookup field is populated by the Suppliers table. Scroll down and click OK to save your change. Click the selection button of another record in the leftmost column of the grid to save the Category change. Note: The “vti” element of the_vti_bin folder name is an abbreviation for Vermeer Technologies, Inc., the original developers of the FrontPage Web designer for Internet Explorer. Microsoft purchased the FrontPage code in January 1966 and then discontinued the product in 2006 in favor of Microsoft SharePoint Designer and Microsoft Expression Web. Click OK twice to close the dialogs and save your changes. Note: Item names contained in OData query expressions, such as Products in the preceding URL example, are case-sensitive. The Edm type prefix is an abbreviation for Entity Data Model, which describes data types compatible with the ADO.NET Team’s Entity Framework v4.1. See my What is OData and Why Should I Care? 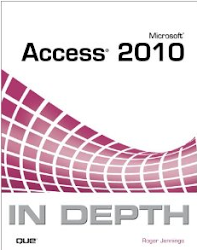 post of 3/12/2011 (updated 3/17/2011) for more information about OData and manipulating OData-encoded lists with Microsoft Power Pivot for Excel 2010.